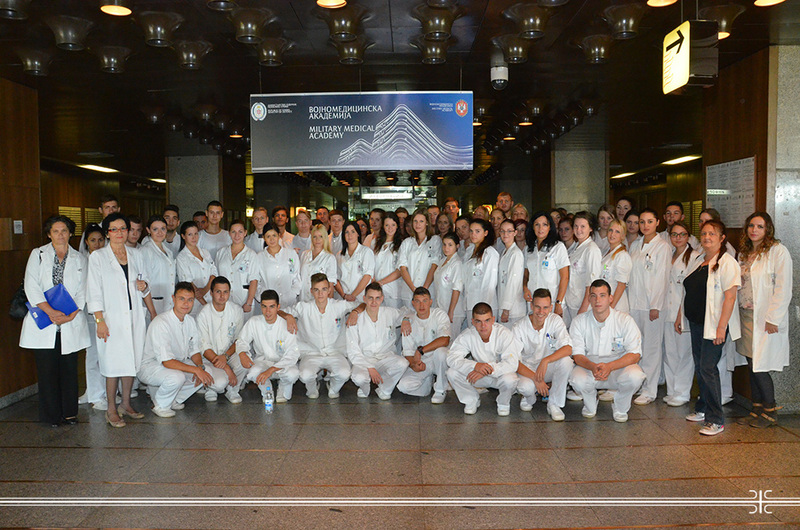 The fourth grade secondary medical school students from Zrenjanin, visited the Military Medical Academy. The guests were welcomed by the head nurse of MMA Verica Milovanovic and a head nurse of the Clinic for Thoracic Surgery Jelena Jankovic. Students were briefly presented with the history, organization and operation of the Military Medical Academy with a special emphasis on the education of nurses and medical technicians in accordance with market demands. Ms. Milovanovic noted the necessity of continuing education and training after high school because of the continued advancement of the profession and world trends in medicine. After the meeting a tour of MMA units was organized during which students had the opportunity to familiarize themselves with the work and duties of medical personnel.